Retirement homes, assisted living facilities and other senior living options need to appeal to potential residents and provide the services and amenities required for seniors to live a healthy, happy life as they age. One of the most important factors, of course, is that the staff can provide the level of care needed by residents and that the appropriate equipment and supplies for that care are readily available on the property. Since many seniors who choose assisted living have experienced a decline in health, it is imperative that potential residents are matched with facilities set up to take care of their needs. Whether you have a retirement facility that encourages independent living in individual apartments or an assisted living facility that provides care to high-needs patients with serious health issues, there are some commonalities that all senior living options should provide. For example, all facilities need to have some type of outdoor living space where seniors can participate in activities, be physically active, and enjoy fresh air and sunshine. Having the opportunity to be outdoors, even for those with more advanced health issues or limited mobility, is an important part of maintaining quality of life, which all senior living residents deserve. When seniors live alone or with a roommate in an apartment or room, outdoor spaces where they can congregate also encourage social engagement and provide seniors with a larger circle of peers for social interaction and support. 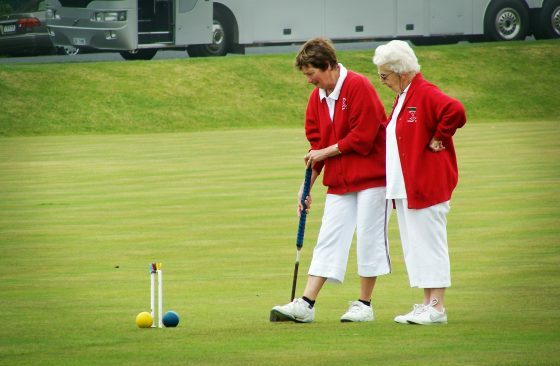 Of course, there are particular concerns when creating an outdoor space in which seniors can socialize and participate in activities. When you are dealing with limited mobility, residents with declining physical health and those who may have grown a bit frailer as they have aged, you clearly need to keep safety and accessibility as important priorities during the design and installation process. You also need outdoor senior activity spaces that are attractive and will be visually appealing to potential residents and their families who may visit several facilities before deciding which is a good fit for them. Attractive landscaping, well-designed outdoor living areas, and yards that are safe and clean will help your senior facility stand out from others and encourage potential clients to consider you as the best choice to meet their needs. It is an honor to care for the elderly and wiser among us, and to ensure that their final years are comfortable and enjoyable, but running a retirement community is also a business. With this in mind, landscape design for senior living communities should also be looked at from a business perspective. Aside from increasing your community’s curb appeal and attracting potential residents, your landscaping should be low maintenance and should come with maintenance costs that fit comfortably within your budget. 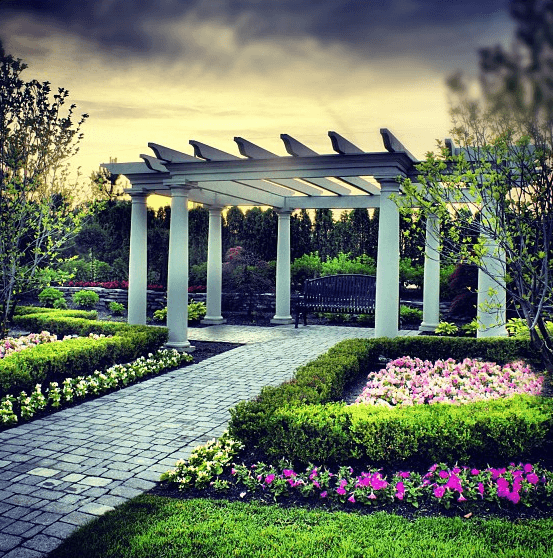 It may seem like a lot to ask for your outdoor spaces to be low maintenance, attractive, affordable, and able to provide safe spaces for seniors to socialize and be active, but in order to perform their necessary functions without taxing your staff or budget, it is necessary for your landscape design to balance all of these components. What Types of Activities Can You Provide in Outdoor Spaces? Senior centers and assisted living facilities offer a variety of activities to provide their clients with opportunities to have fun, learn new things and make new friends. Most of these activities are generally offered indoors and include board game nights, Bingo, movie nights, card games, holiday parties and craft classes. Indoor activities are an essential part of keeping seniors active and engaged. Activities that take place indoors are also often more accessible to a wider range of residents and can take place rain or shine. But one of the reasons that indoor activities are more accessible for a broader range of seniors is because outdoor spaces are often not landscaped in a way that encourages outdoor living. For example, narrow concrete walkways may not accommodate wheelchairs well, uneven grass areas are difficult for those who walk with walkers or have limited mobility, and slippery or uneven surfaces may pose a slipping or tripping hazard. All too often, senior communities have grounds that are attractively landscaped and enhance curb appeal, but do not really provide functional aspects that would allow the facility to fully exploit this asset. Creating usable outside spaces greatly expands the options for activities the community could host for its residents, while still providing an attractive visual for visitors and potential clients. If you add usable outdoor activity spaces, you can expand your offerings to include outdoor yoga, tai chi, Qigong or stretching classes, as well as a putting green, a lawn bowling field or a miniature golf course. Higher-end facilities with larger budgets and more expansive grounds could even include a stocked pond for fishing, a shooting range or a nine-hole golf course. An outdoor activity space for seniors could also be used when bands are invited to play, for outdoor movie nights, or for art walks featuring local artists or art created by residents. If space allows, health fairs and other community events could be held on the grounds to encourage community involvement and increase awareness of your facility to market to future clients. Why Are Outdoor Spaces Important for Senior Living Communities? 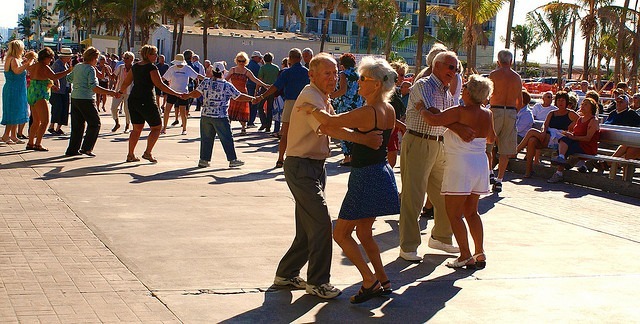 Sunshine and fresh air are important for everyone’s health and wellness, but studies have repeatedly shown the increased importance of staying active and maintaining social connections in order for seniors to extend their healthy years and ward off cognitive decline. A Swedish study published in the journal, Neurology, has linked obesity to dementia, showing that a Body Mass Index of more than 30 comes with a 288% higher chance of developing dementia, including Alzheimer’s disease. People with a Body Mass Index between 25 and 30 were found to have a 71% higher risk of later developing dementia. We already know that obesity is linked to an array of physical ailments, including high blood pressure and heart disease, but this shows that managing our weight is also important for our mental health. One way to maintain a healthy weight is to stay physically active, which is also good for bone density, stress reduction, and overall health and wellness. Aside from the obvious benefits that exercise has on our physical health, a University of Pittsburgh study showed that regular physical activity improved memory and played a part in holding off cognitive decline in study participants, all of whom were 60 years old or older. Regular exercise is essential to staying physically fit, maintaining mobility, managing weight and being able to more fully enjoy our Golden Years with better health. Low-impact activities, like yoga, walking, sitting exercise classes or gardening, are examples of exercise options that can be beneficial to seniors when working to achieve these goals. It is now clear that exercise is also important for our mental health and can assist in warding off dementia, which is a very real concern as we age. Indoor exercise classes are fantastic, but if your facility has an outdoor activity area that is accessible for seniors and those with limited mobility, you can greatly expand the variety of exercise options available, which will encourage a broader group of seniors to stay active and fit. Inviting outdoor spaces, whether they are used for physical activities or simply offer comfortable seating where seniors can read or visit with family, encourage seniors to leave the confines of their room or the building in order to spend time outdoors. This is a great way to help avoid isolation and depression, both of which can easily happen to seniors as they age. Being outdoors with other residents encourages social interaction, which is helpful in creating peer groups where seniors can find support and stay connected with others. Maintaining an active social life is a good way to manage stress levels, and studies have shown that dementia risk can be lowered by engaging in social activities. This shows, once again, that both our physical and mental health are dependent on our ability to maintain a healthy, social lifestyle as we age. Spaces for outside activities make it easier for seniors to stay active and be part of a community, which makes these outdoor areas an important part of any senior living facility. 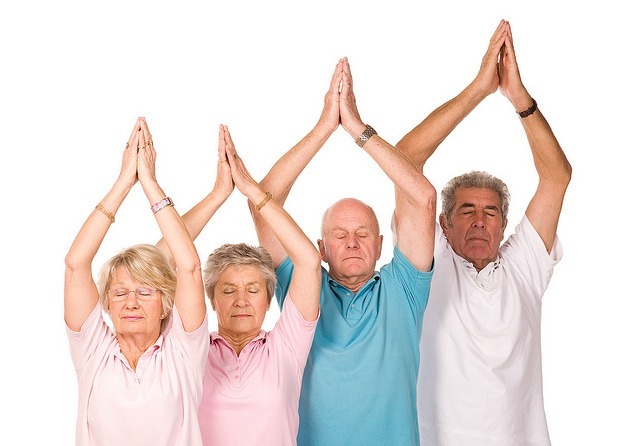 Assisted living facilities with smaller budgets might not have the room or funds to create an expansive outdoor area with walking trails, a golf course or a wading pool, but even a simple outdoor space that is large enough to use for meditation or tai chi is an excellent place to start. A basic outdoor area that can be used for exercise classes or socializing is a more affordable option that can help smaller facilities get community members outdoors to enjoy fresh air and stay as physically active as possible. If you have just one small space to work with, you will need it to be a versatile space that can serve many purposes. To achieve this, you may want to simply create a lawn area that will look inviting and provide an area for regularly scheduled outdoor activities. Since you may use this area for physical fitness activities, it is important that the ground is level and even to avoid tripping hazards. This is difficult to achieve with a natural grass lawn, which tends to be bumpy and uneven, but this can be remedied by installing an artificial turf lawn instead. A synthetic grass lawn, due to its even surface, is also more accessible for wheelchairs than a natural grass lawn. In addition to providing a safer surface for senior activities, synthetic grass is also a low maintenance option that does not require the mowing, watering, edging, weeding, fertilizing and aerating necessary to keep a conventional lawn healthy and attractive. Artificial grass provides a soft but sturdy foundation for yoga classes or outdoor art classes, making it an ideal choice for facilities where seniors will be the primary users of these areas. Alternatively, you could create an attractive patio from paving stones, which are slip-resistant and easy to care for. From simple designs to intricate patterns, pavers provide a viable solution for retirement communities that need patio areas that are functional, visually appealing and require little maintenance. Of course, you would ideally have room for both patio areas and grassy spaces to more fully meet the needs of your residents. Slip-resistant paving stone walking paths that meander through gardens and are wide enough for wheelchairs are a nice touch that encourages walking, gardening and enjoying nature. 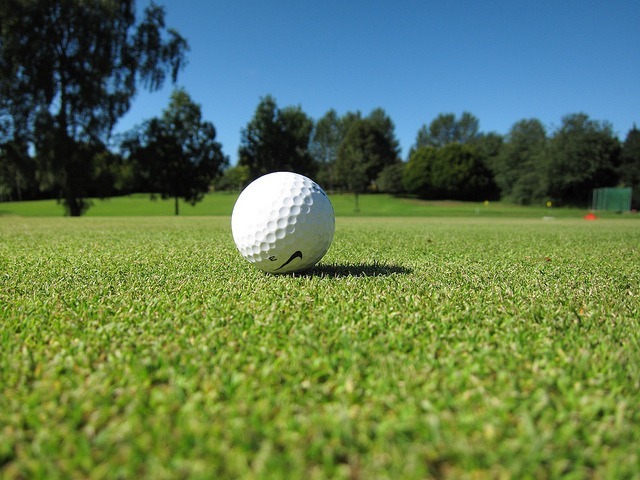 Artificial turf putting greens or lawn bowling fields provide an even, durable playing field that is perfect for outdoor-loving men and women who may be missing the time they used to spend participating in outdoor activities. As an added bonus, both fake grass and pavers can help you see significant savings on your monthly water bill, particularly if you use them to replace water-wasting natural lawns or other landscape options. If you are interested in water-saving landscape design that still looks fantastic and can meet the needs of your residents, you may want to work with a landscape designer who is familiar with xeriscape and landscaping options that conserve water and are low maintenance. You may also want to consider working with a landscape designer who is well versed in mobility issues so that you can make sure your outdoor activity spaces are accessible to as many of your residents as possible. Help your residents maintain a high quality of life and more fully enjoy their senior years by providing outdoor activity spaces that are safe, low maintenance and inviting. Whether you offer yoga classes, concerts, mini golf or art shows, the outdoor living areas you create will encourage physical activity and social interaction, both of which are good for the overall health and wellness of your residents. As we progress through our Golden Years, we all want to stay healthy as long as possible so that we can continue enjoying our favorite activities and spending time with our loved ones. You can assist your residents in more fully enjoying this stage of their life by providing outdoor living areas where they can share stories, learn new things and stay fit.